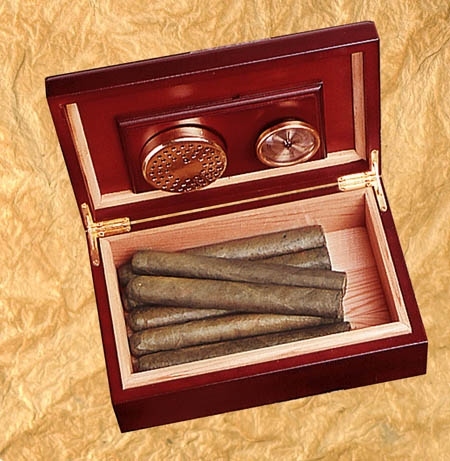 * Keep your cigars at their freshest with our colorful and sturdy sublimated cigar humidor. 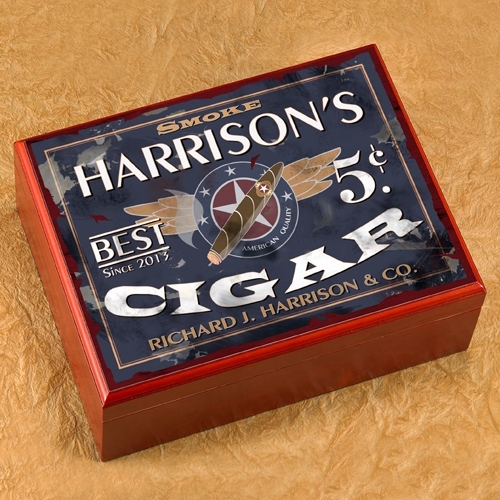 * Available in a variety of designs and created to match our whimsical pub signs, these personalized humidors are the perfect gift for the cigar aficionado and are ideal for executives, retirees, new graduates, or anyone who enjoys a good smoke. * The recipient will be thrilled to see his name on the front of this attractive box!